Regardless of how many #10 cans of “just-add-water-ready-to-eat” stuff you have, at some point you’re going to have to learn to use a kitchen in much the same way as your granny or your great-granny did, so we’ve put together this list of 38 essential kitchen items for any survivalist. If you don’t smoke, why on earth would you need matches? Well, if you’re going to learn to cook like granny, that will probably include cooking on top of a wood heat stove or on a wood cook stove with an oven. I know there are ways to start a fire with a magnifying glass, some straw and some kindling, but believe me, matches are easier. If you’re really good at starting and keeping a fire throughout the three daily meals, you could use as little as one match a day. If you’re not, 20 may not be enough. We have found that the most economical matches are book matches, like you get with a pack of cigarettes. They come in a box of 50 books, 20 matches per book, for about $1.50 in many stores. That’s a lot of lights for cheap. Wooden kitchen matches go for about $3.50 for 250 matches. See the difference? When you’re living off the grid, every penny counts. As an off-gridder, I’m definitely not talking about the kind of can opener that plugs into a wall. Have at least two good, sturdy hand operated can-openers. The newer ones from China do wear out. We’ve worn out quite a few. We also have an Army C-Ration P-38 can-opener. It takes a little practice to use this device, but once you get the groove going on it, you can open a #10 can in a few seconds. We personally like the Wondermill Junior Deluxe Hand Grain Mill. 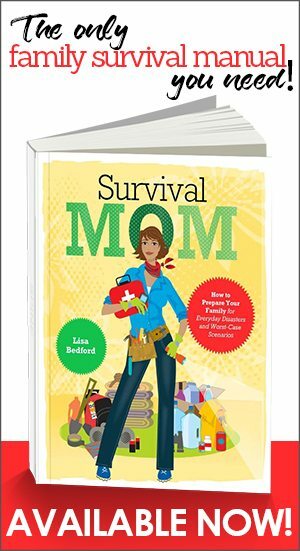 (Read The Survival Mom’s review here.) For the money, it’s the best we have found. What can you do with it? Grind wheat, rice, barley, oats, rye, lentils into flour. It can also be used to make nut-butters, like pinion butter, walnut butter, chestnut butter. It will also make cornmeal. The uses are virtually endless, especially if you eat a lot of whole, natural foods. Not all grain mills can be used for this many purposes. If you are going to be cooking over a wood stove of any kind, you need durable stainless steel or cast iron cookware. Aluminum (besides not being good for your health) tends to warp on wood cook stoves. Black, cast iron pans heat evenly, hold the heat for a long time and do not warp – not to mention giving you a little dose of iron in your food. READ MORE: Check out all these uses for cast iron and this set of cast iron essentials. Enamelware is best, and so is stainless steel. Make sure the roasting pan will fit into your oven! Wood cook stoves don’t have the same huge ovens as gas or electric stoves. Stainless steel or copper works best for this archaic kitchen appliance. In the winter, a steaming tea kettle on the wood stove not only serves as at-the-ready for tea or coffee, the steam warms and moisturizes the air. Just don’t let it boil down all the way before refilling it. Metal (stainless steel) is best. If you have or want some plastic colanders, understand that they will break over time, and most of them are made with BPA in the plastic. These versatile sheets can be used for breads, biscuits, cookies, for drying fruits or veggies. Avoid Teflon coatings or aluminum cookie sheets – get stainless steel. Once again, stainless steel is the best choice for these. A 4-cup glass measuring cup with a pour-spout would be a nice addition, too. Pay attention to the measuring spoons and cups you use most and have at least one or two backups. Those also come in handy on days when you’re doing a lot of cooking and/or baking and reach for the same measuring tools over and over again. Good knives are ones that will keep a sharp edge for a reasonable amount of time, not go dull instantly upon use. If you can find old, carbon-steel knives in yard sales or flea markets, they are best – Old Hickory, Old Timers, Imperial are some brands to look for. 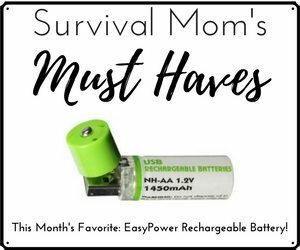 READ MORE: Check out The Survival Mom’s list of things to look for whenever you go to a thrift shop or yard sale. Updated article originally authored by Sheila at SurvivingSurvivalism. Re: matches… I find the wooden ones more economical as I am much less likely to burn my fingers and much more likely to start my fire with just one match. The simple math doesnt tell all. Though I have taken to just lighting a taper candle stub with a cheap lighter and using that to light my woodstove. That reduced my burnt fingers to none. I keep a long strand of spaghetti [uncooked, obviously] to light things far from my hand (pilot light, cake candles, oil lamps etc.) and it works beautifully. One lone strand does me a year’s worth of various little lightings. It also burns VERY slowly, unlike even wood matches. Ooo, I like the spaghetti idea! Going to share that with my son. I also got the bigger wooden matches in a box. Agree with all the stuff, except the grain mill. Sold mine after the y2k farce, will not replace. I don’t eat much grain anyway except whole rice, plain cheerios, or millet. get xtra knife sharpeners, wire wisks for eggs, drinks, etc. extra other kitchen utensils. some of items can be used for bartering so watch the sales. Been reading with interest for some time from here in the UK..
How long should I wait for the other 15 things? What is a pastry cutter and what does one use it for? I’ve been the primary cook for myself and my family for more than 15 years and don’t know that I’ve laid eyes on one. Maybe not all that necessary. For my money I’d rather have a good pressure cooker and a good wide mouth thermos and/or straw box to get more cooking done with less time and fuel. You use pastry cutter to work butter or shortening into dry ingredients. Makes your biscuits fluffy. personal opinion….everyone should have the makings of a zeer pot handy. Especially if you have meds that need to be kept cold. Should the electricity go out for any length of time it will at least keep what you have on hand chilled. I’ll second the pressure cooker: cooks faster less fuel. If you use the same one you use for canning you can cook more than one thing at a time. Put water in the bottom and the different foods in seperate pans inside. Pressure cooking meat will tenderize even venison. Two butter knives are all my grandmother ever used to cut shortening into flour for a nice flakey pie crust, pastry cutter not needed, IMHO. I would also make a rocket stove to save on fuel and get heat into the pot quicker. You will need a sharpening STONE and the skill to use it. A steel is for straightening the edge and will not sharpen a really dull knife. Remember there were at least three reasons for seperate kitchens from the main house, keeping excess heat out of the living area during the seasons it wasn’t needed, keep the mess of burning wood out of the house and FIRE! Much easier to rebuild a small kitchen that your entire house and replace all of your posessions. Especially in a SHTF world even a temporaary one like a major storm. Here is my breakdown of your items. Being at my Off Grid BOL for nearly a year, I speak from hands on experience. 1. Matches are Obsolete and dangerous and are ruined if they get wet. Any wind and they blow out. They invented this neat gadget called a cigarette lighter which you can buy 50 lighters on Amazon for only $10. I purchased 400 lighters which are all good for bartering and for the cost of only .20 cents each. I also can resell them for a dollar out in the public, netting me .80 cents profit per lighter. You can also adjust the flame and makes for a great torch for campfires in windy conditions. So for $80 you can buy 400 lighters which will last me a lifetime. 2. The P-38 are small and rust. Use a regular can opener or go with the P-52 can opener which seems to not rust and is larger than the P-38. 4. Cast Iron cook ware is good but I found ceramic surface cook ware cleans up fast, Just wipe the pan clean and use a little hot water to break up the grease. Cast Iron uses a lot of water to get them clean. Water is made for drinking not waster dishes clean up. Spot on with the rest of your items, Use Stainless steal everything if possible and avoid wooded spoons etc as they tent to get moldy in high humidity climate like Florida. They are basically useless. Florida does not have the problem we in the Northern part of the country can face; extreme cold. In extreme weather they won’t light. Lots of sparks, no flame! Altitude and temperature can leave you cold so to speak. In colder climates it would be wise the keep a couple “Zippo” type lighters around with plenty of fuel. I’m from a small rural town. EVERYONE uses cast iron. Washing it with water is rare. My most used skillet lives in my oven when I’m not using the oven. I couldn’t guess the last time water touched it. And no, it is not poison. It does an incredible job of cooking our eggs, bacon, sausage, pork chops, cornbread, tortillas, etc. Excess ‘grease’ is poured off into my grease mug and stored for later use. The remaining grease is left in the pan. It always amazes me how many people don’t cook and don’t have good cooking equipment. I guess I am spoiled because I learned how to cook when I was young and I have great cooking tools. Not only is it a great investment in being prepared but also for good health. 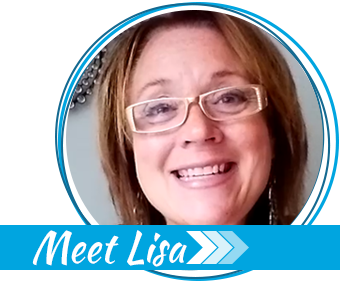 I sharpen knives and scissor as an added a service in my business. What I have found is most people do not know the first thing about and edge. The sharpening steel is a tool that needs to be used properly and takes some coordination and practice. A far better and easier tool is made in Texas and is known as the Accu-sharp. It retails for about ten bucks which is cheaper than a quality steel and it lasts longer. While it is not what I use for the majority of my customers cutlery it is the best tool I have found for Joe or Jane Average. BTW I am 67 and grew up in a hardware store. 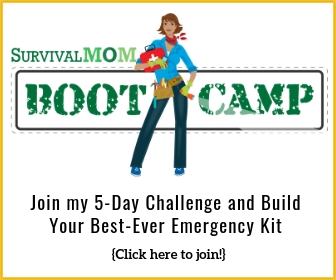 I have been watching the survival/preparedness movement grow for several years. It would appear many people become too narrowly focused. Being able to do and adapt to a variety of circumstances is the key. We really do not know exactly what is going to transpire we can only guess. The more skills you have the greater your abilities will be. Tools are great but making full use of them will be greater and may be even make crucial differences. I have been collecting the “old-fashioned” tools that I grew up with. Like a small manual deli meat slicer (my grandmother had one), one of my coworkers found in the house she is renting from the children of the previous owner who had passed. The children had cleaned the house out but had missed a few things in a basement cupboard. Guess their mother did a lot of canning so there was a quite few things left over that were in good condition in the cupboard. She kept a lot of it as the children said they didn’t want it, she could keep all of it. She didn’t want the slicer so I took it. I have to replace one of the the suction cup feet on it but other than that it is in great shape, works great too.